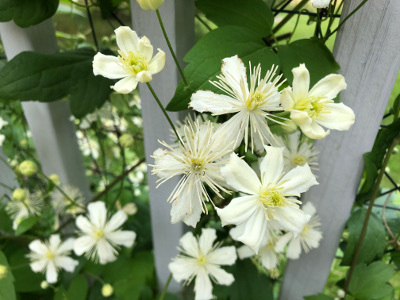 Summer Snow Clematis: fragrant white flowers. Up to 20 feet tall and FRAGRANT! and plant it in full sun for best scent. as it is far hardier in the Frozen North.